Kev's Site – Web programming experiments, useful snippets and the odd devlog. These are my experiments in writing browser based games and demos. Only html5 web standards are used, so no need for flash or any such nonsense. All of them require a fairly modern browser that is capable of supporting HTML5 and WebGL. Chrome and Firefox are good choices. Some of the games might work on a mobile device, but they are really intended to be run in a desktop/laptop browser. They were all written as learning exercises and just for the joy of programming. Click on the thumbnails below to play the games. You can grab the sourcecode from my github page. 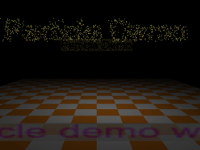 This is a browser based demo that attempts to keep an iFrame level as the device is tilted left or right. Your laptop will need to sport an accelerometer. I've only been able to test this on my Asus Chromebook. A tribute to the classic Atari ST and Amiga 16 bit demo scene. Before the advent of 3D accelerated graphics cards, sprites were king. 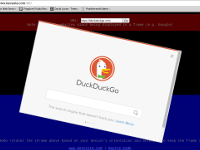 This is my nostalgic attempt at re-creating some of that 16-bit magic in the modern browser. 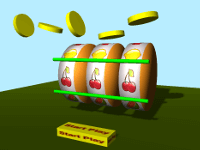 A 3D slot machine game that runs in the browser. Click and drag to move the camera camera around. Spacebar or click the start button to spin the wheels. Bloxed is a simple "push the blocks and collect the keys" game that runs in your browser. 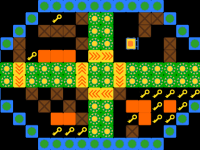 Click here to read the blog entry I wrote at the time I made the game. 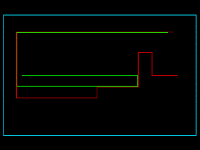 A HTML5 version of the old ZX Spectrum Classic, Lightcycles (1983), which itself was based on Tron.